‘Sunmist’ | Florida Foundation Seed Producers, Inc. 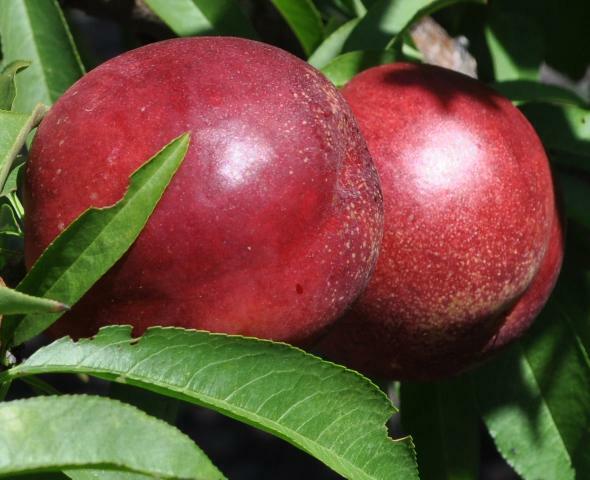 Description: ‘Sunmist’ is a patented melting-flesh nectarine cultivar released in 1994. ‘Sunmist’ trees are highly vigorous and have a spreading growth habit. Fruit of ‘Sunmist’ have white flesh, are semi-freestone, and are large for an early ripening cultivar. Fruit develop nearly 100% red blush and are uniformly symmetrical. ‘Sunmist’ trees and fruit are highly resistant to bacterial spot. The FDP is 85 days, and the fruit ripen in early May in Gainesville, Florida.